I have been the Education Coordinator at Mat-Su Pretrial Facility in Palmer Alaska for over 15 years. I am passionate about providing parenting education for the fathers and fathers-to-be who are in our correctional institutions. While they are incarcerated, we as educators are afforded an incredible opportunity to make a difference in the lives of many young people/children and hopefully break the cycles that keep bringing men and women to our institutions. Roughly 5 years ago, I ordered the InsideOut® Dad (IOD) program for the first time. In addition to my own desire to provide meaningful information to fathers, I had been tasked by our Deputy Director to find an evidence-based program for parenting that could be provided in all our Alaska facilities. The InsideOut® Dad program fit that bill and proved to be a worthwhile program. Even in pre-trial facilities, where stays are generally shorter, we were successful in having individuals complete the program prior to release. A few years ago, I received a sample copy of the InsideOut® Dad Guide to Family Ties with my yearly InsideOut® Dad handbook purchase. I decided to try offering this shorter guide as a program in my pre-trial setting to see how it would be received and if I would have better luck getting completions before transfer with the Guide’s shorter time requirements. The guide was well received and because of the shorter time requirement I was able to “graduate” a greater percentage of individuals. After achieving success in the pre-trial setting, I presented the idea of offering the InsideOut® Dad Guide to Family Ties in all of the pre-trials and short-term facilities to our Criminal Justice Planner (CJP) in charge of programs. Prior to that, other short-term institutions or pre-trials were experiencing the same difficult issues maintaining class sizes for the extended lengths of time required for other program offerings. The CJP agreed with my conclusion that this program would fit our needs and implemented the program into several of our facilities for the last two years. Alaska has 14 correctional facilities, 8 of those facilities provide education to pre-trial inmates and a few of those 8 facilities also provide sentenced housing and education. Several of the facilities providing education to pre-trial inmates are now using the InsideOut® Dad Guide to Family Ties, with more planning to begin this year. Classes are being scheduled from 2-4 times per week in 1.5 – 2 hr sessions. One educator stated: “The more condensed (scheduled more frequently) I make it the more constant the attendance, the higher the participant’s interest, and the higher the completion rate.” T.L. In sentenced facilities, the InsideOut® Dad program (original and now v2) is offered. Most of those meet for class once per week for 1.5 – 2 hours for 10 weeks, 4 times per year. Generally they are focused on the core sessions but do offer some of the optional sessions, depending on the needs of the group. “I may use videos or bring in birthday cards or anonymous general letters for examples. But I do find that some of the best supplements come from the group itself. For example, I had one participant who was both inventive and creative. He created cartoon characters and storylines that he and his young daughter collaborated on. He would often read them in class. This led some of the others to do the same.” T.L. “I supplement with the Drew Bledsoe Foundation’s “Parenting With Dignity” interactive DVD.” F.Q. “During the class I allow inmates the benefit of 6 free computer prints per month such as greeting cards, and letters home to spouse and children to reconnect and build upon the father/child and husband/wife relationships, and then discuss any positive outcomes in class.” L.L. “I like using the family guide and add things from the other book plus supplement it with letters home, coloring pages for the guys to send home so little kids can draw and color for their dad. K.W. “I do not add too much to the course other than various statistics and information I have heard from other resources on fatherhood. I often will add personal experiences I have had as well from my own experiences as a father.” A.H.
“We are using InsideOut® Dad with alterations for the female inmates.” D.K. “We have designed an on-going class called Parenting Relationships where dads have an opportunity to come to education and use art supplies and computers to make cards, stories, puzzles and the like to continue to foster communication with their children. Many will just spend time coloring pages either from coloring books or printouts of their children’s favorite characters to send them.” K.S. “The inmates really enjoy making the Paper Hugs. At first some are a bit shy about the activity, but when they see prior examples and hear about how the children have responded, they jump in. I take pictures of them and print out a life-size version of their head to attach to the traced upper body. It looks so realistic and the families really appreciate it. Some have sent pictures of the kids standing with the Paper Hug to the father.” K.S. “Inmates enjoy making Paper Hugs and reading stories to their children. They read into a recorder, I then burn their story to a CD and mail it to their children where circumstances allow.” F.Q. “I enjoy Session 7.4 on Fathering and Fun, and the amazing discussions and feedback from inmates concerning the diverse home life they experienced growing up.” L.L. “In the family ties book it speaks more towards working with the mothers which is something that we would talk a lot about with the first InsideOut® Dad booklet. But the family guide gives specific things and is more a guide line. It helps the guys see the topic isn't just me talking, it validates the need for cooperation.” K.W. “I enjoy starting out the book with "My Story". It gets the inmates to open up and everyone else an opportunity to get to know each other through their past and the way our parents play such a huge role in our lives. I also enjoy (Session 10) "Working with Mom and Co-Parenting". It really makes a difference to raise children as a team instead of solo and I try to push that point.” V.S. “I think that chapter 9 on discipline elicits the most thought and change. Many of my dads were raised punitively and think that is the way to discipline. They are surprised with the connection between discipline and disciple and that discipline implies learning instead of punishment. They also appreciate learning about other alternatives to discipline besides punishment. We spend a lot of time talking about how to use positive reinforcement and even what an effective time out looks like.” J.K.
“We had one father who made an arrangement with his PO to read a book with his daughter over the phone once a month and discuss the story. This inmate had purchased a second copy of the book and sent it to his daughter.” L.L. “I continue to see connections made and eyes opened when we discuss their experiences from childhood and relate that to what their children might be experiencing now. This is especially true when we look at the effects of domestic violence or traumatic experiences on their children. They state more resolve in their efforts to provide stability and nurture to their children.” K.S. “One of my older participants wrote to his adult daughter after nearly twenty years of no contact.” T.L. “The guys love hearing from their children when they receive the paper hugs and stories.” F.Q. “I have had several inmates tell me that they got more from it (IOD) than any of the other program classes that they took. I had one inmate tell me it helped him keep a positive attitude. He said putting his young 1 year old daughter on his mind helped him focus on coming up with a plan for how he was going to stay out of trouble when he gets out. After finishing the class and getting a certificate he wanted to keep coming to class because he thought continuing to discuss parenting would be a good thing for him to do to help maintain a positive attitude. He came to the first 3 classes of the next session up to the point he was transferred.” A.H.
“We had a mother and daughter who were both incarcerated at the same time and took the parenting class (IOD adapted for women) together. At first, they didn’t want to talk much about the experiences they personally had and it became apparent that they had very different views on their mother-daughter relationship. The mother clearly thought she had been a good mother and the daughter disagreed. It was a fairly small class, only five inmates and that actually worked in favor of getting them to open up a bit more. I think the mother was truly surprised to hear that what her daughter thought. The mother had always been a “fun” parent who let the kids do anything and to hear her daughter say she wished she had had more structure was an eye-opener. I don’t want to claim that the class “healed” the relationship but it seemed to have thawed it a bit. After that they appeared to spend more time together around the facility where previously they had been pretty aloof towards each other. And a week or so ago, I saw them chatting in an aisle at Wal-Mart.” D.K. 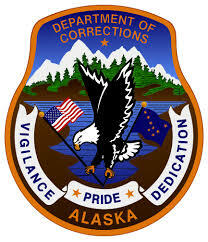 In Alaska correctional education we are continuing to fine-tune our parenting education. The administration is aware of and supportive of the important role that proper, healthy parenting has in breaking the cycle of recidivism, criminal activity and adverse childhood experiences. We have a unique opportunity to provide tools and information that can effect positive behavior change for adults and in turn for their children. The National Fatherhood Initiative has been and continues to be an important resource in this process. Thank you, National Fatherhood Initiative and happy parenting! From Kaye Saxon, Education Coordinator, Alaska Department of Corrections, Mat-Su Pretrial.